Each year, SABR's Nineteenth Century Research Committee selects its Overlooked 19th Century Base Ball Legend — a 19th century player, manager, executive or other baseball personality not yet inducted into the National Baseball Hall of Fame in Cooperstown, New York. Committee members vote to narrow down the ballot to 10 finalists, then all SABR members are eligible to cast a vote for the winner. The winner is announced at the Nineteenth Century Committee's annual meeting at the SABR convention. The preliminary voting process, which we call the Overlooked Legends Primary Election, consisted of each voter selecting 10 names from the list of 25 candidates. The top 10 will be presented to the SABR membership in the spring of 2019, when all members can vote in the final election. The winner will be announced at the SABR 49 convention this summer in San Diego. Cast your vote in the 2019 Overlooked Legends Primary Election: Click here to cast your vote now at SurveyMonkey.com. Or click here to download the PDF file with biographies and career summaries for the 25 candidates in the Primary Election. The voting in the Overlooked Primary Election will end at 11:59 p.m. MST on Monday, March 4, 2019. Pioneer Profiles: Click here to learn more about our new Pioneer Profiles, which will honor 19th-century figures who made non-playing and other contributions to the game. 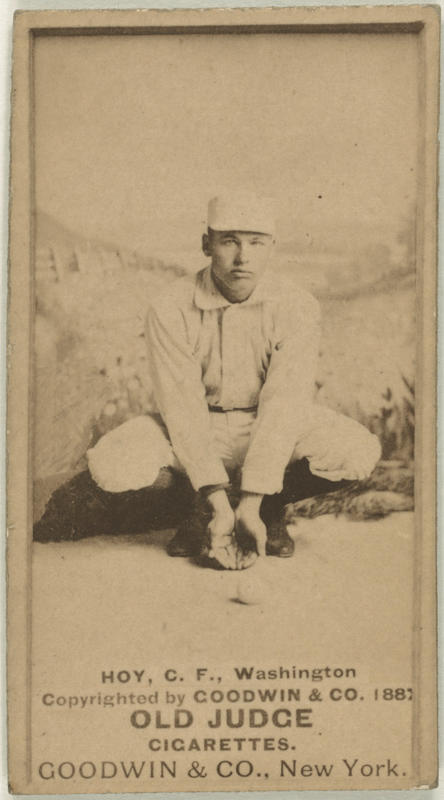 To receive e-mail announcements on the Overlooked 19th Century Baseball Legends Project and other committee announcements, click the "Join Group" button here. For more information on the Overlooked 19th Century Baseball Legends Project, contact project co-chairs Adam Darowski or Joe Williams, or visit the project's Facebook page.